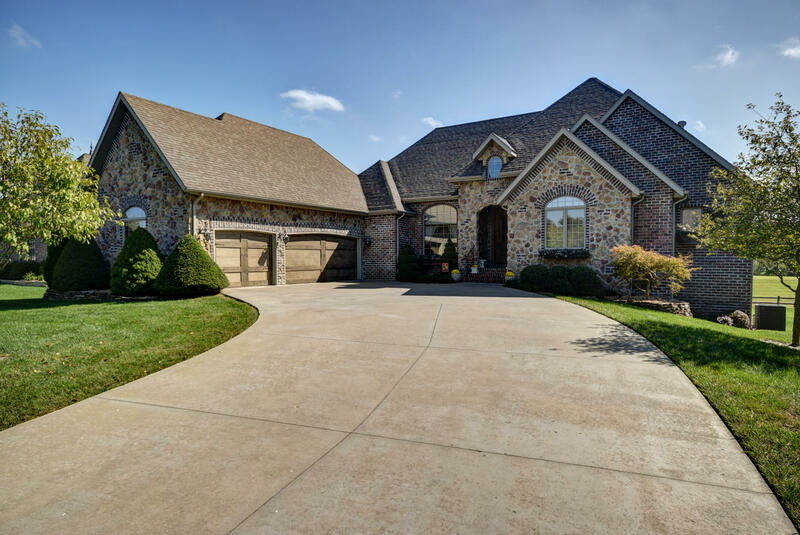 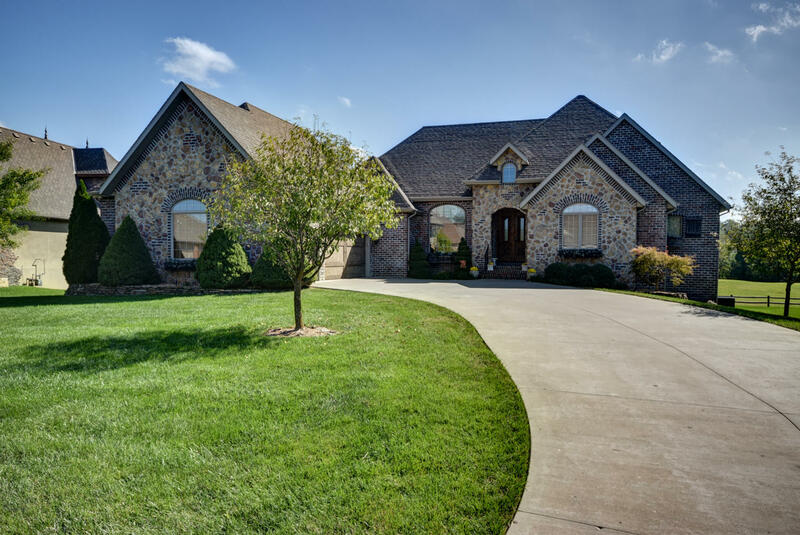 Undoubtedly one of the best lots in Rivercut and it could be all yours. 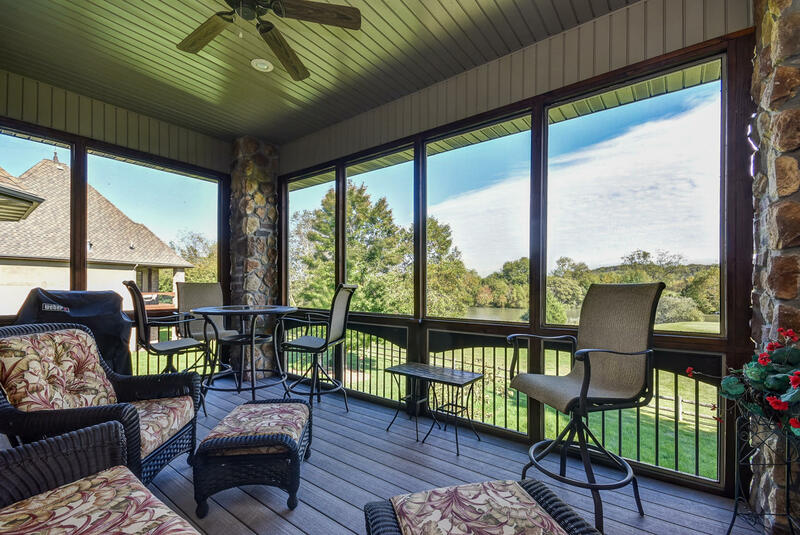 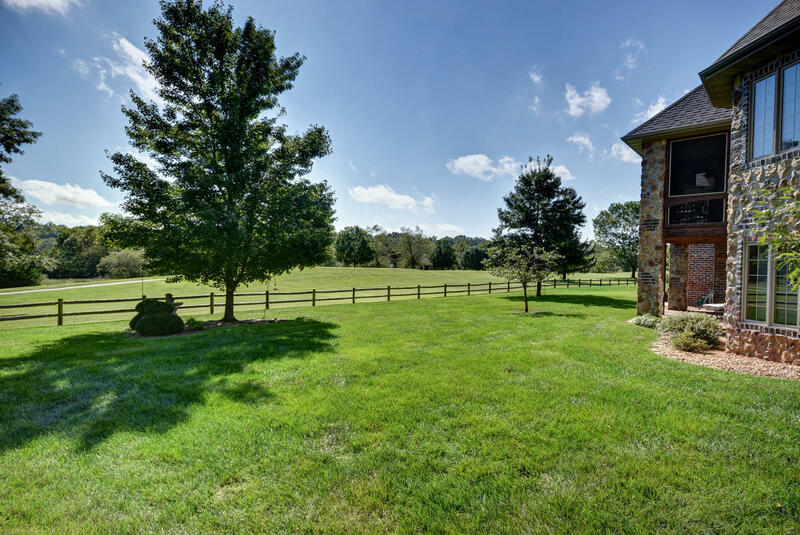 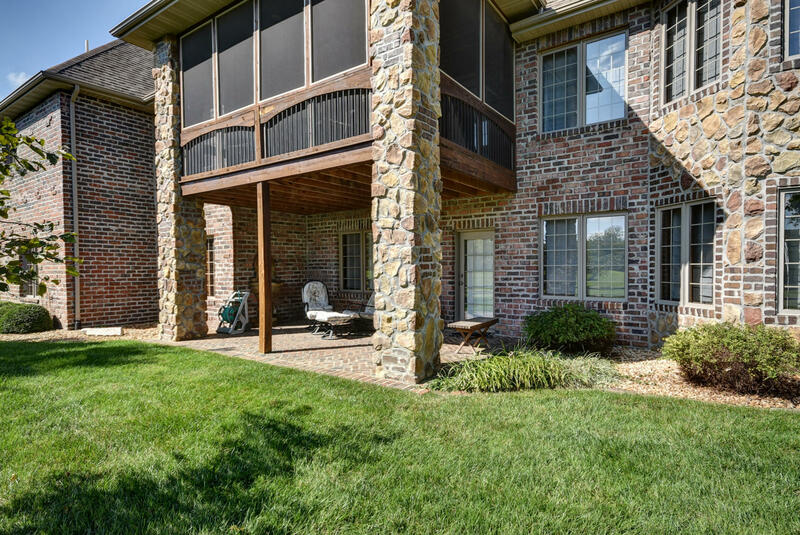 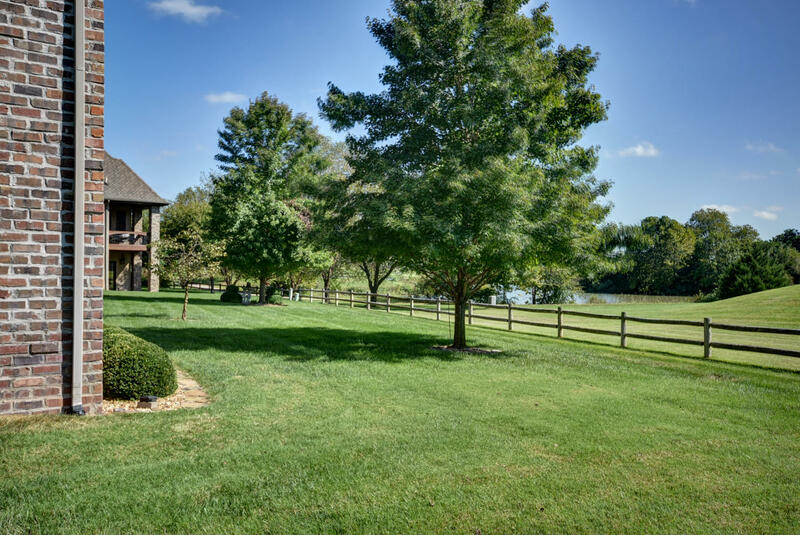 Enjoy the quiet from the screened in deck that overlooks the golf course, a beautiful lake and if you listen close you can hear the James River trickling past. 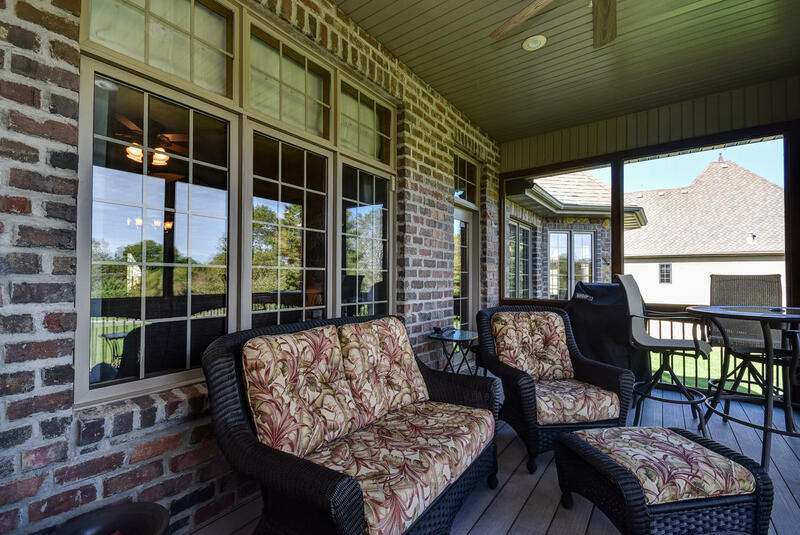 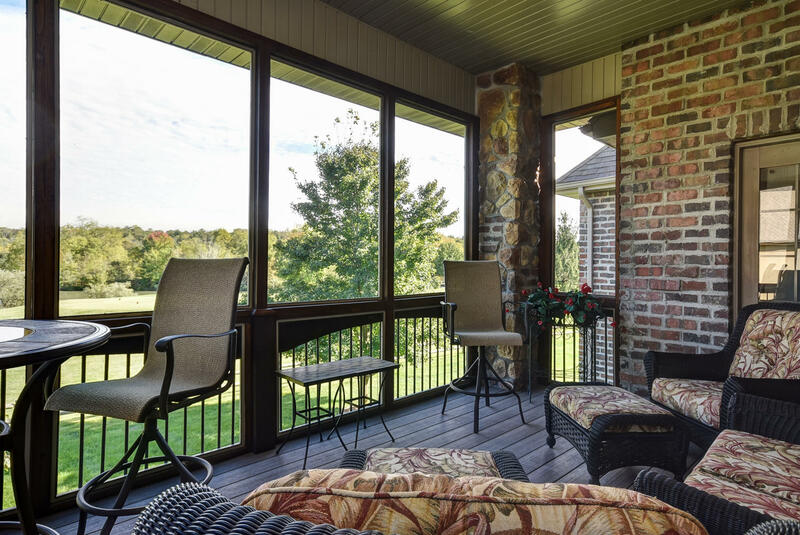 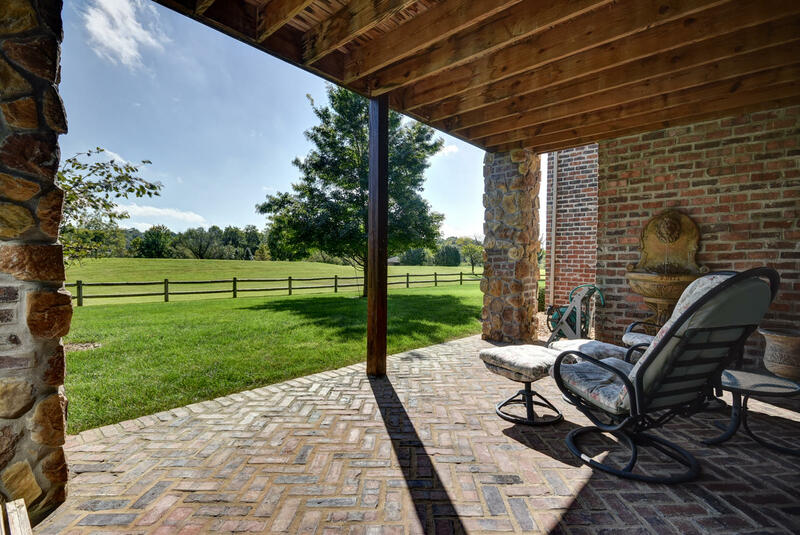 You will never want to leave the porch where you can sit back and relax or entertain with those summer time barbeques. 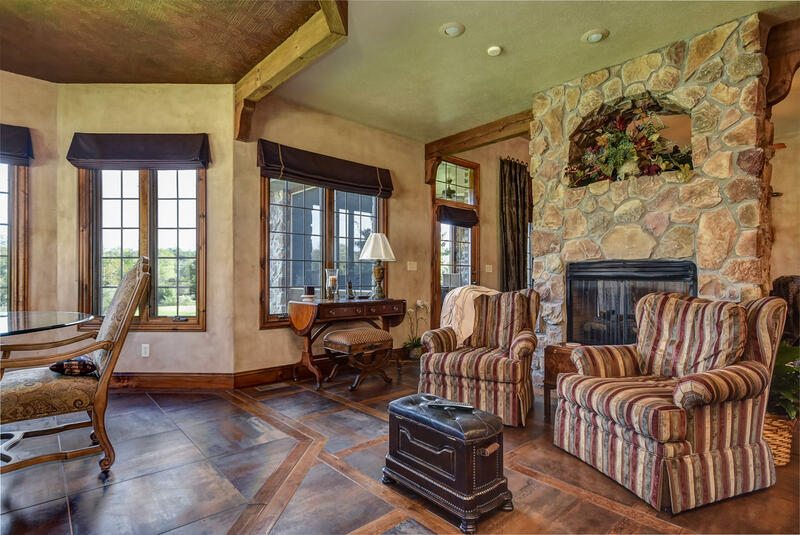 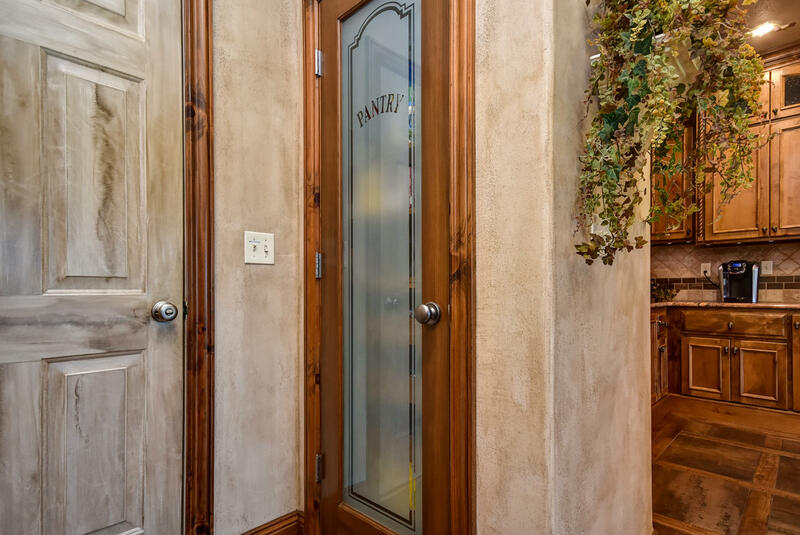 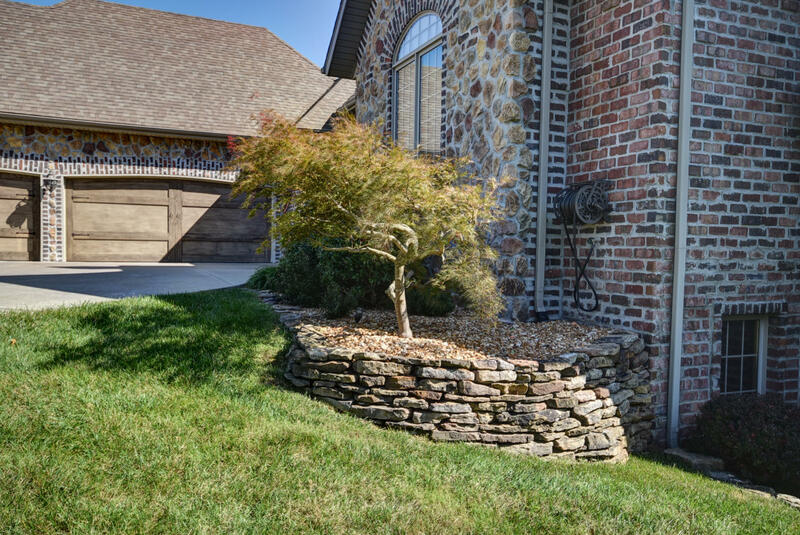 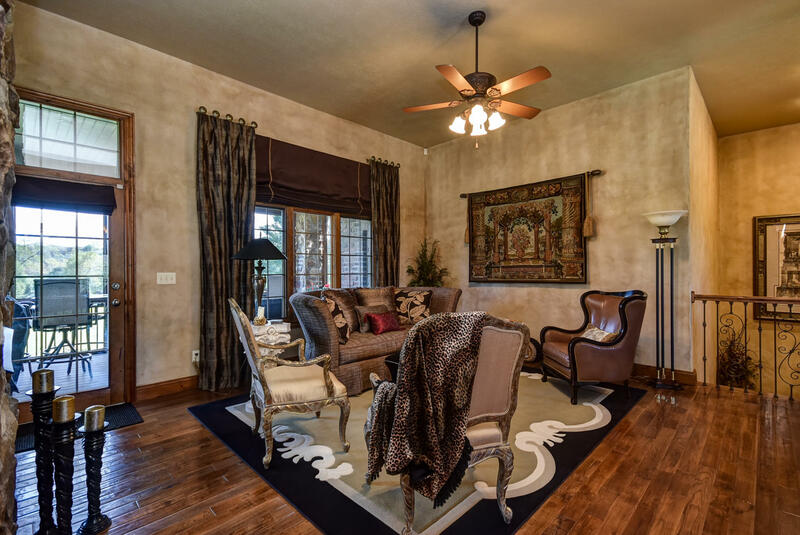 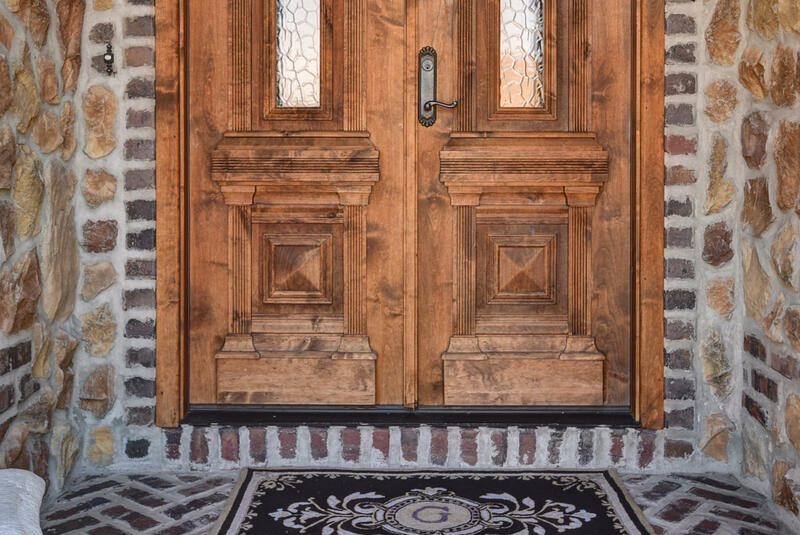 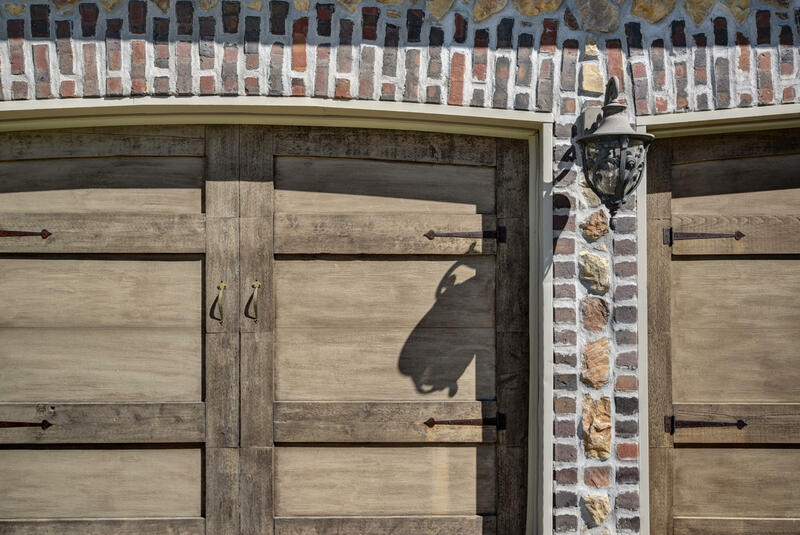 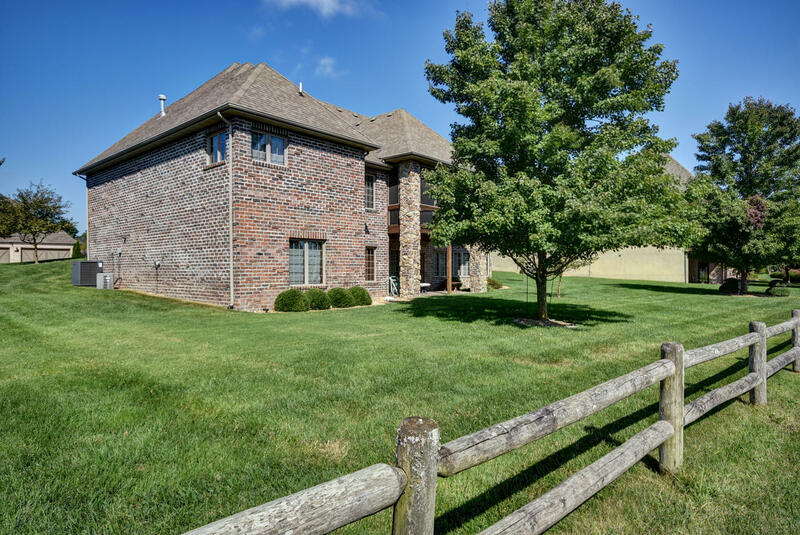 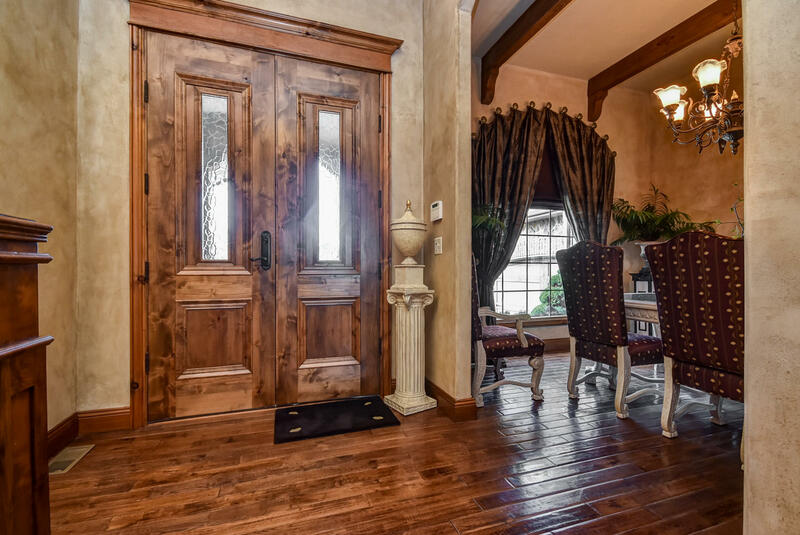 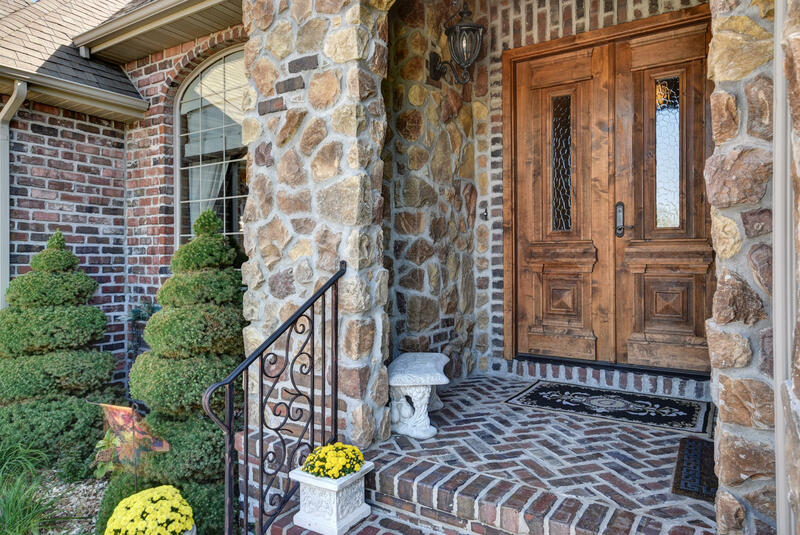 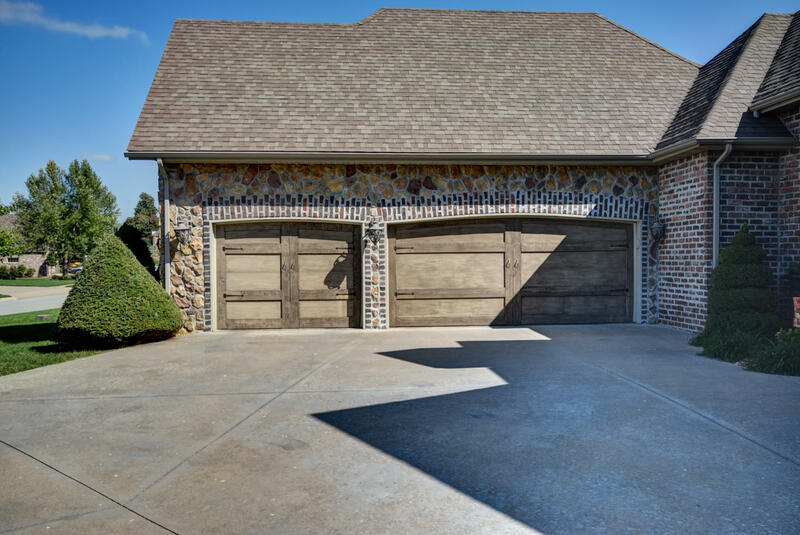 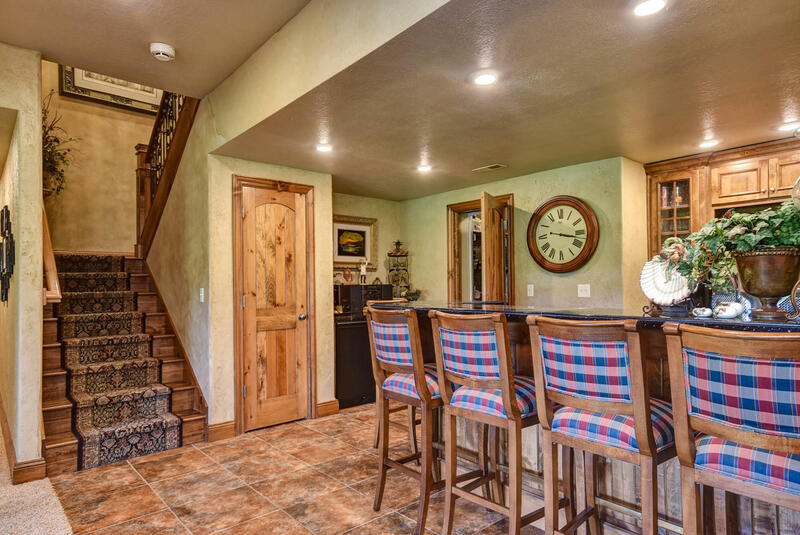 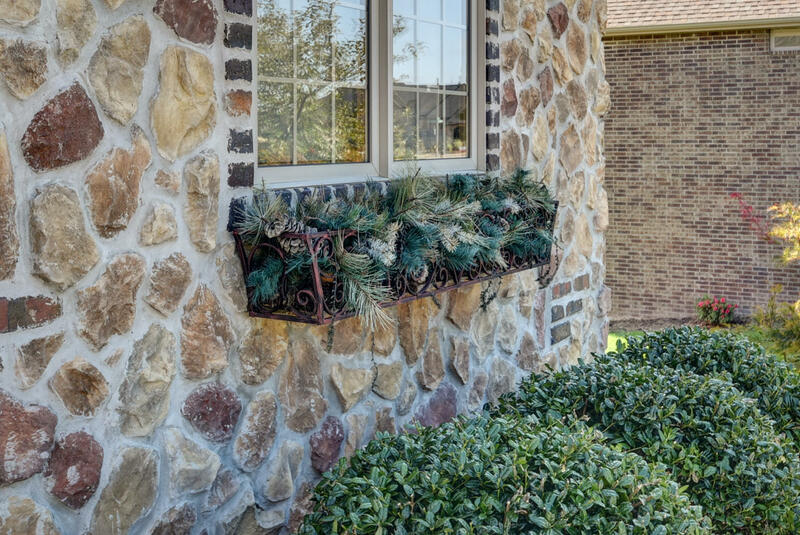 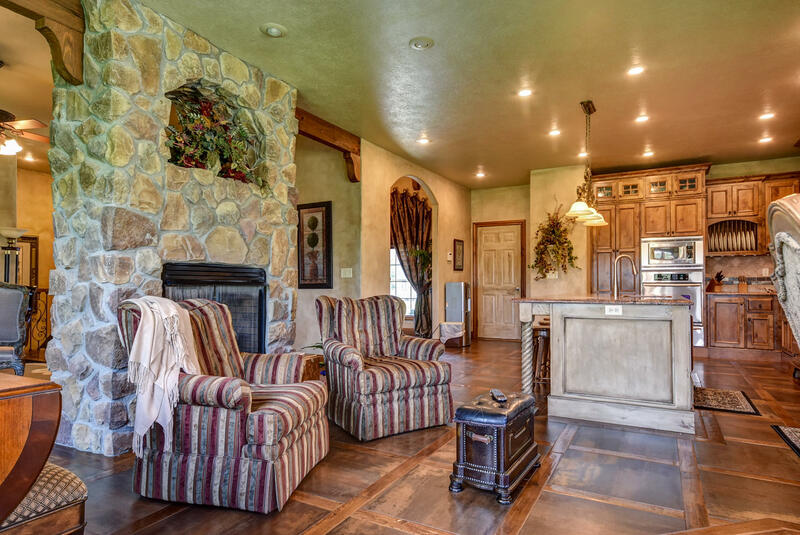 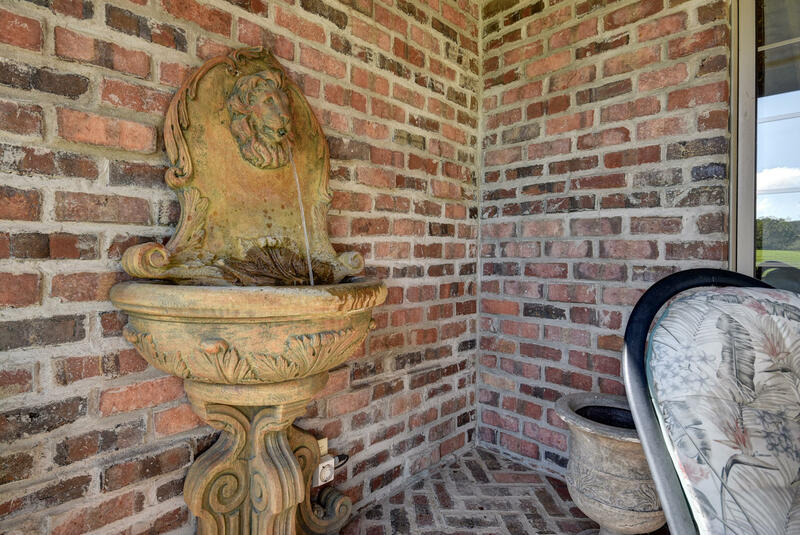 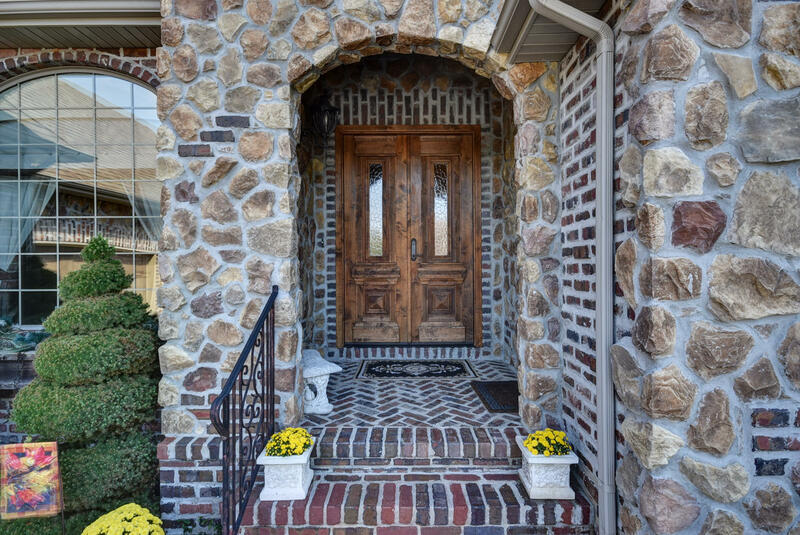 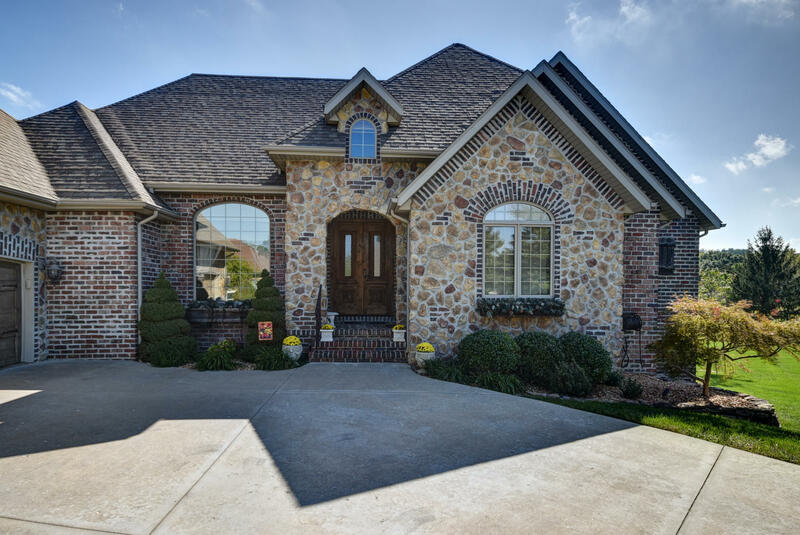 The antique wood doors and herringbone pattern brick steps lets you know this home is special. 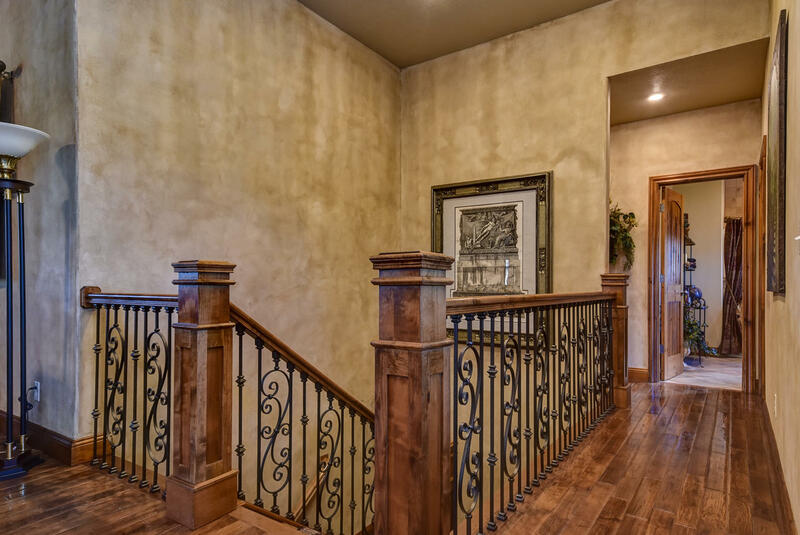 The moment you walk in note the gorgeous hand scraped hardwood floors, custom hand rail, special wall finishes and custom window treatments throughout the home. 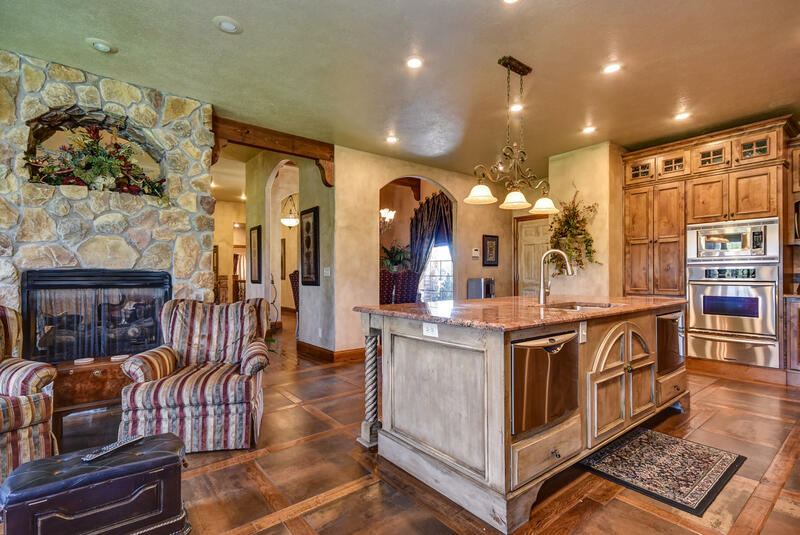 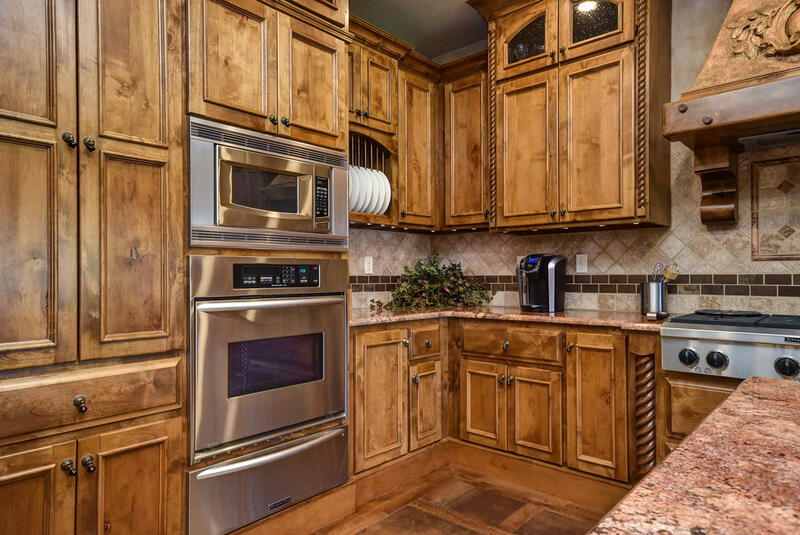 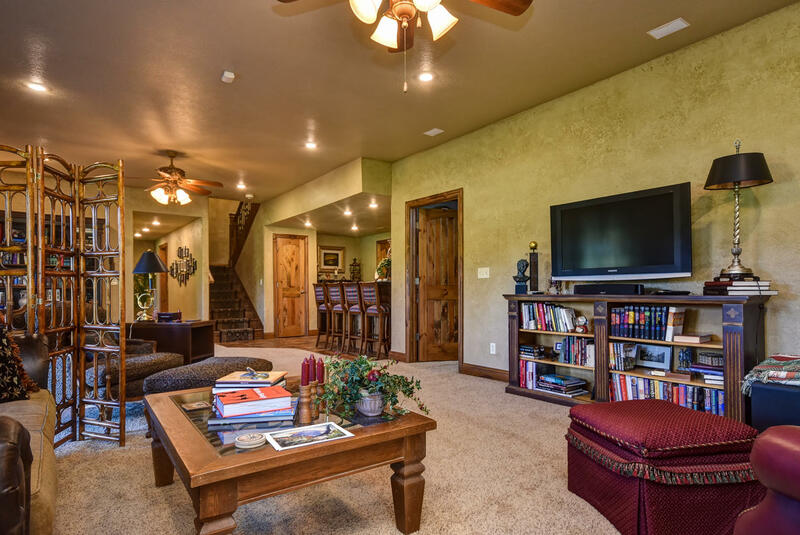 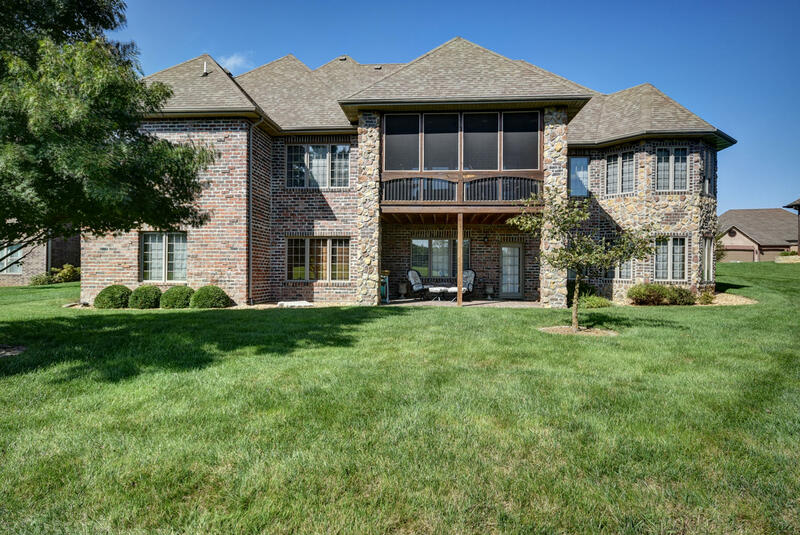 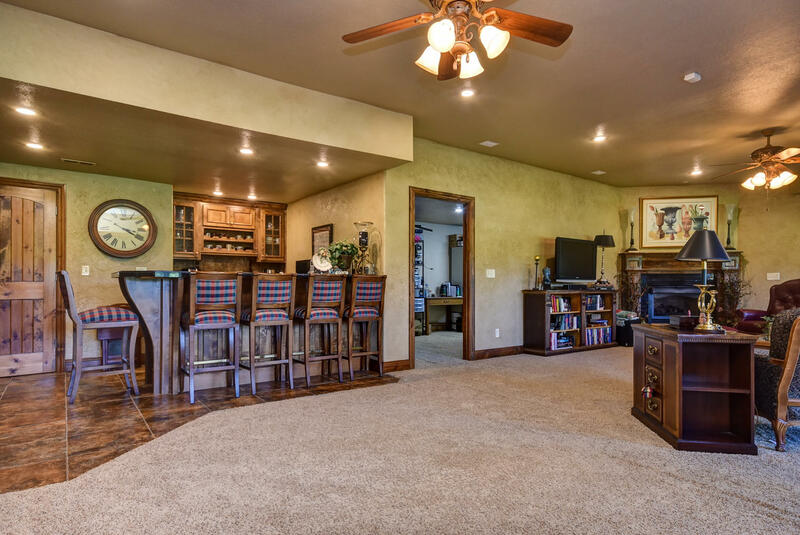 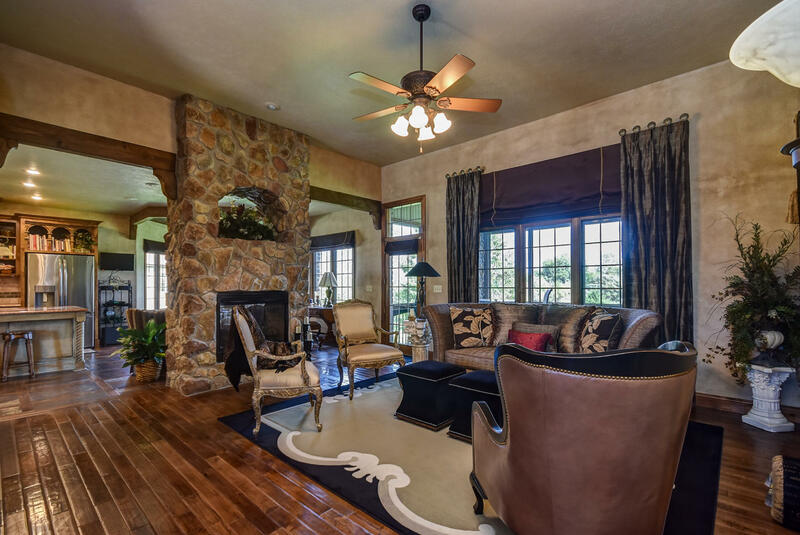 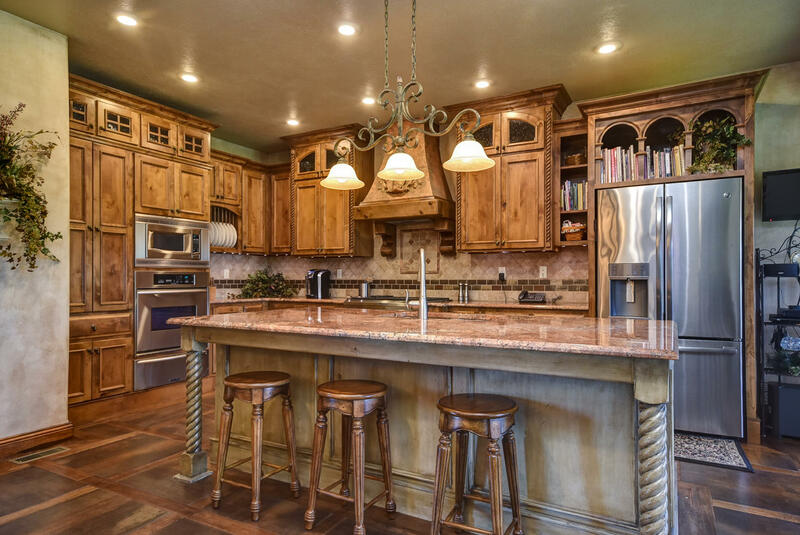 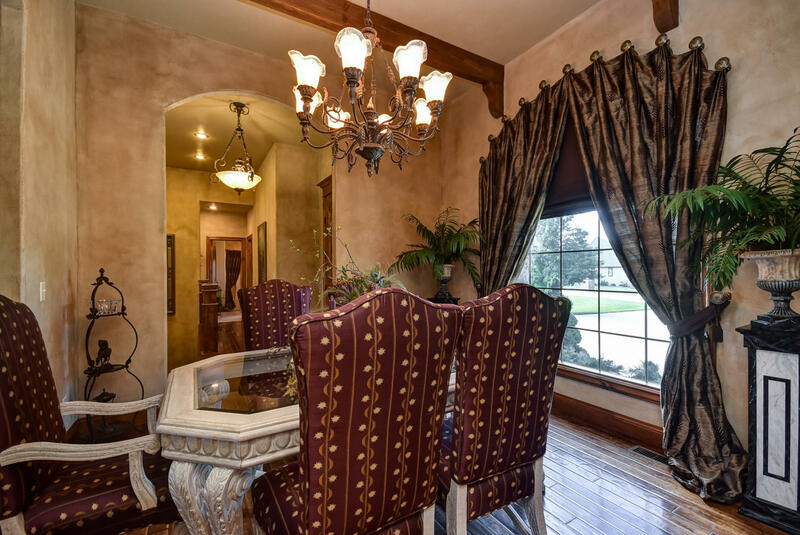 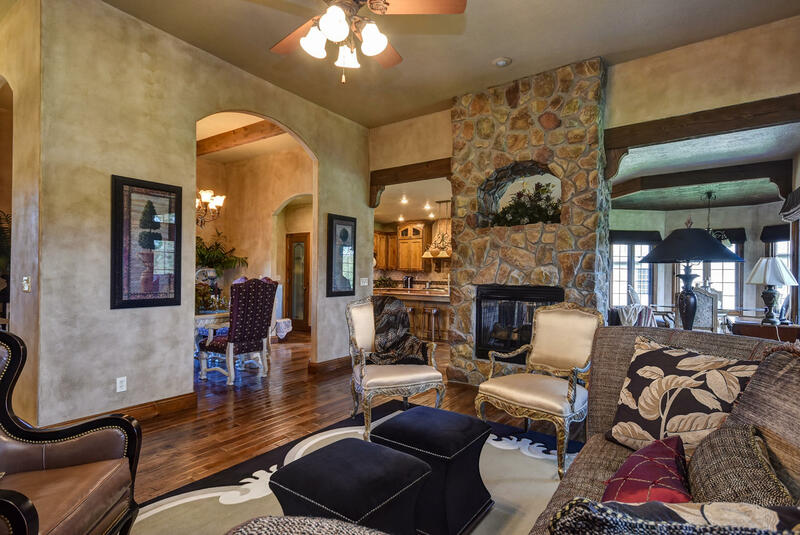 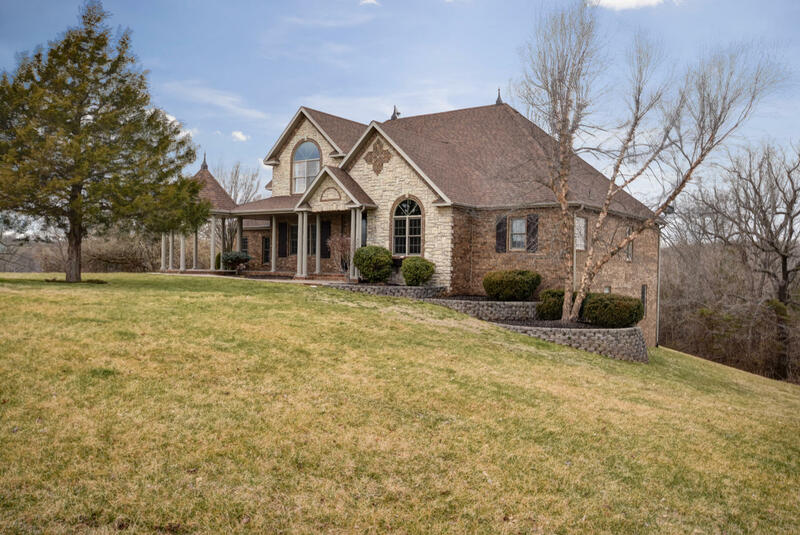 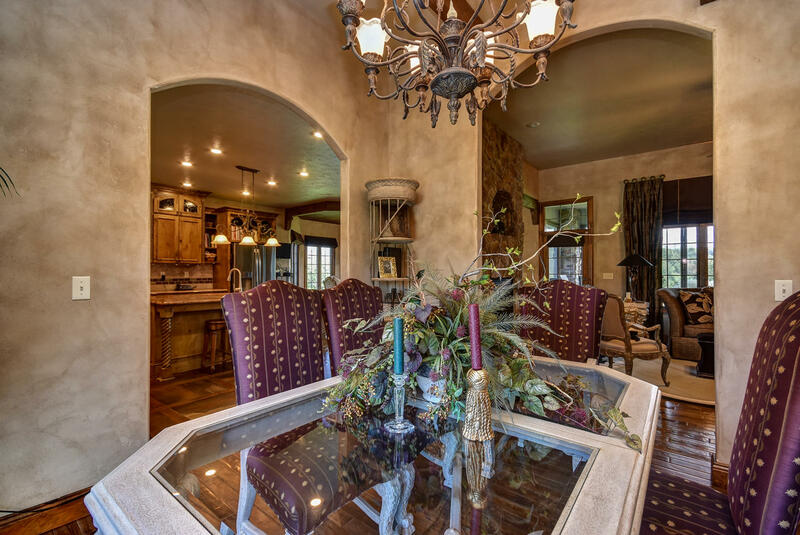 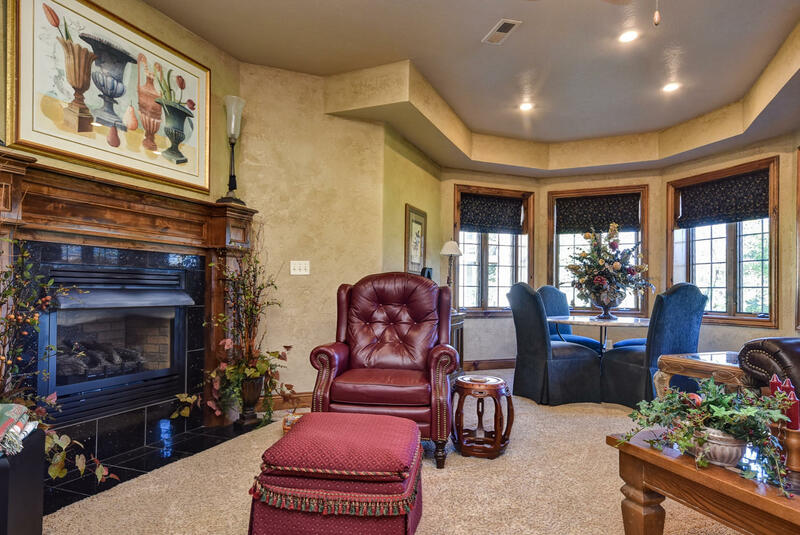 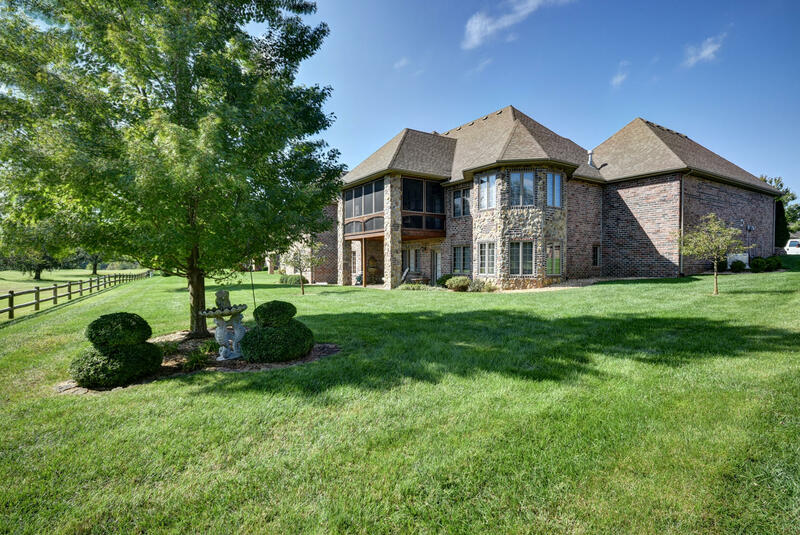 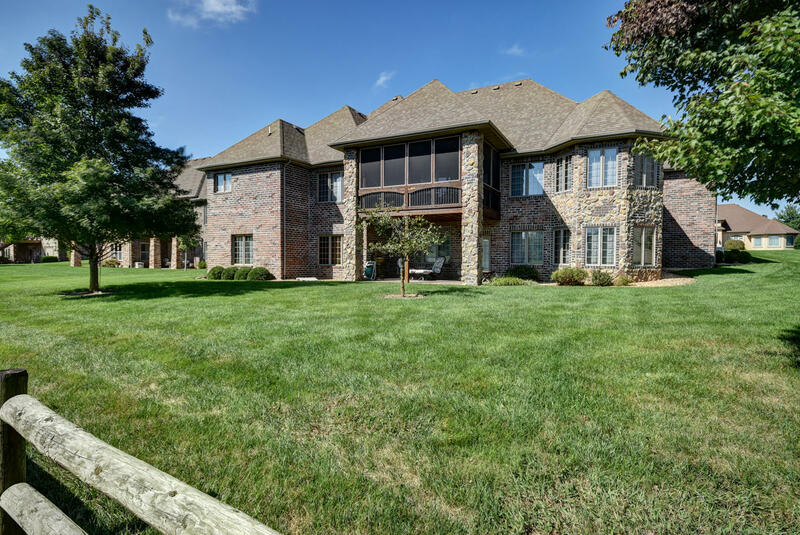 Built for entertaining with a formal dining and eat in kitchen that overlooks the beautiful view of the lake. 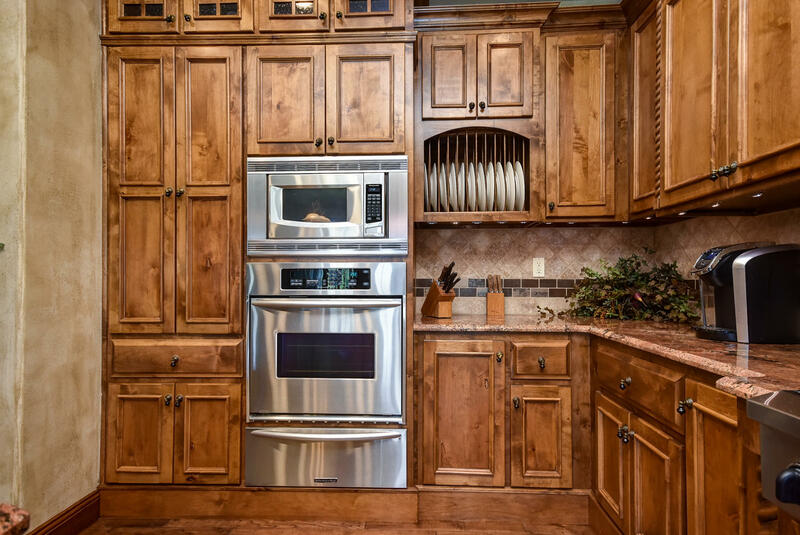 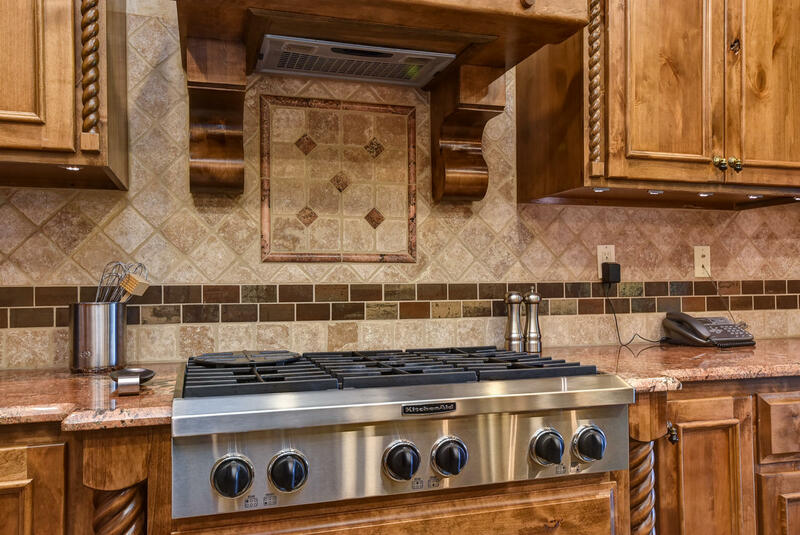 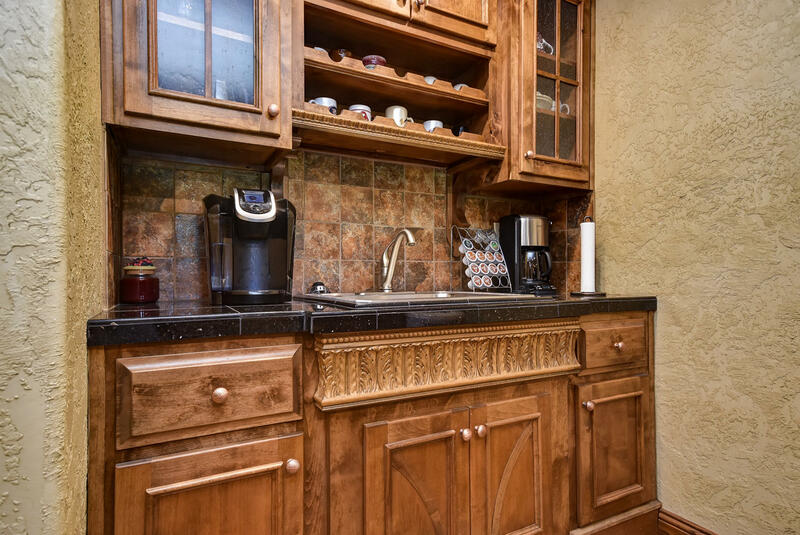 The kitchen has granite counter tops, custom cabinetry, center island with 2dishwashers, wall oven and warming pan, 6 burner gas stove, under mount lighting and walk in pantry. 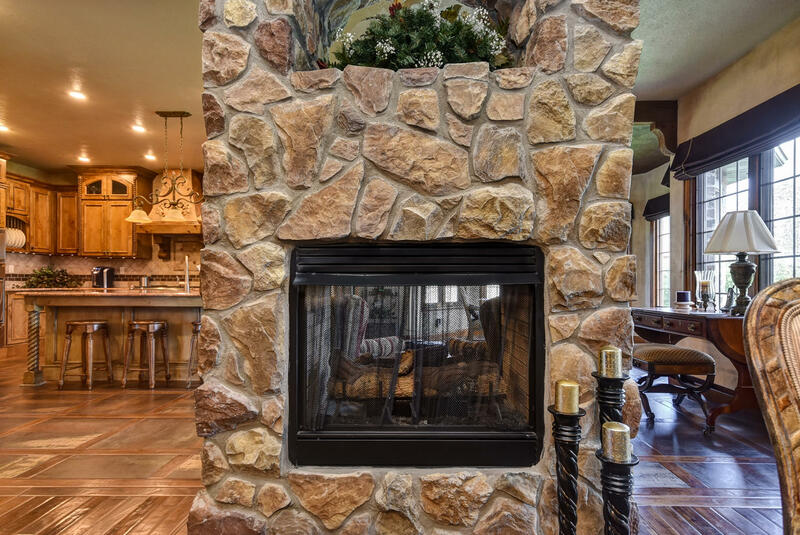 A stone see-through fireplace from the formal living room into the kitchen. 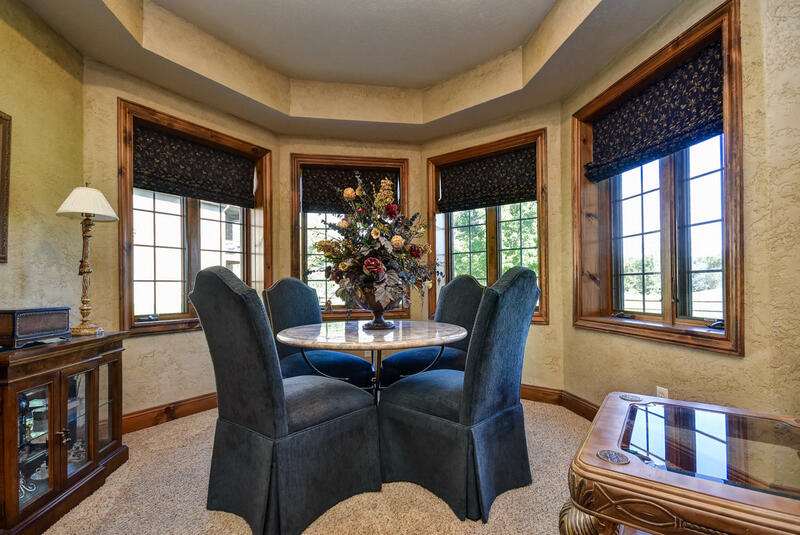 Note the special ceiling treatment over the kitchen table and lots of windows and tile floors. 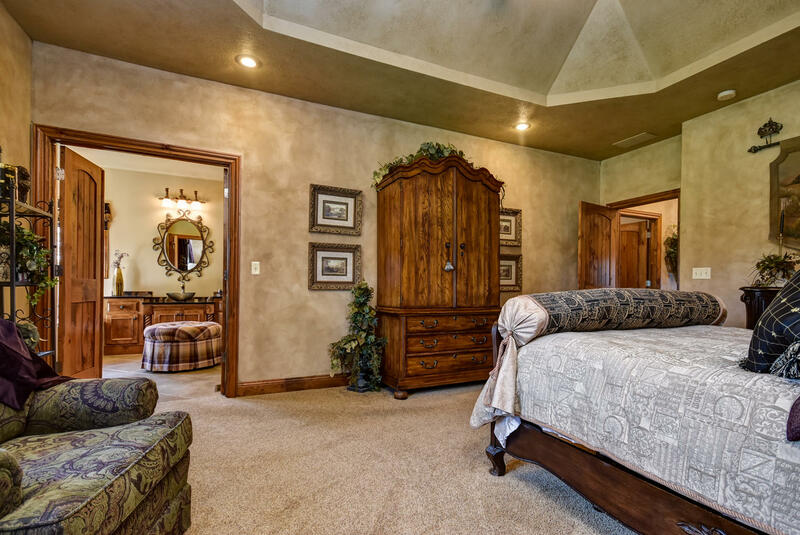 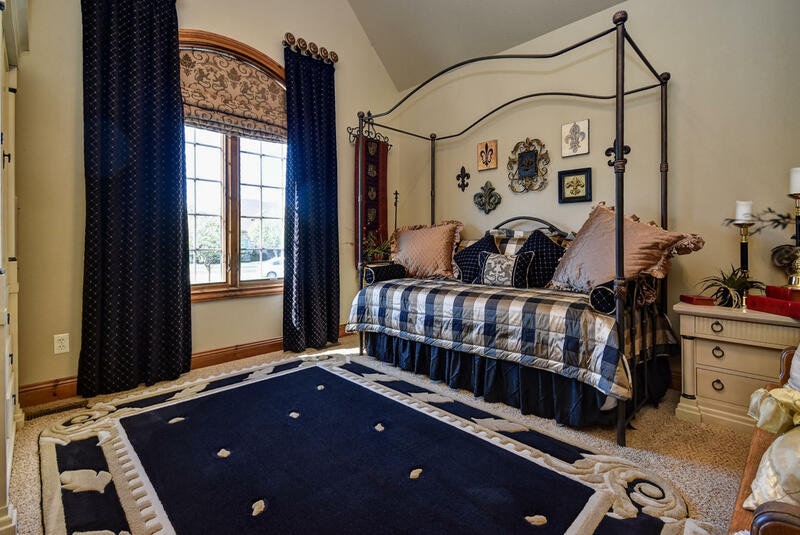 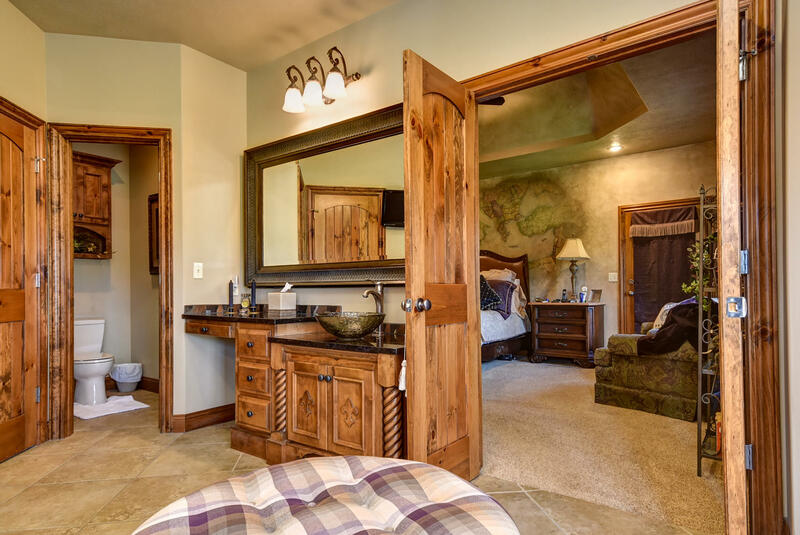 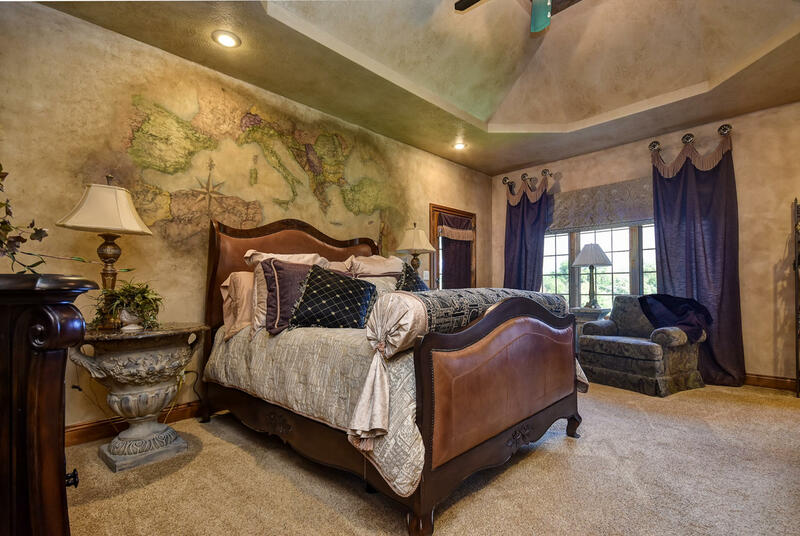 The master bedroom has a door leading to the deck, a 1 of a kind custom painted map mural over the master bed and 2 walk-in closets. 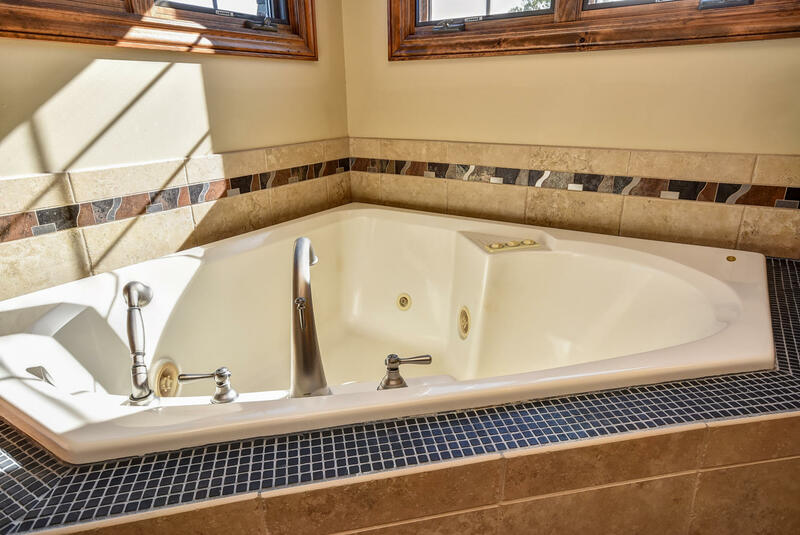 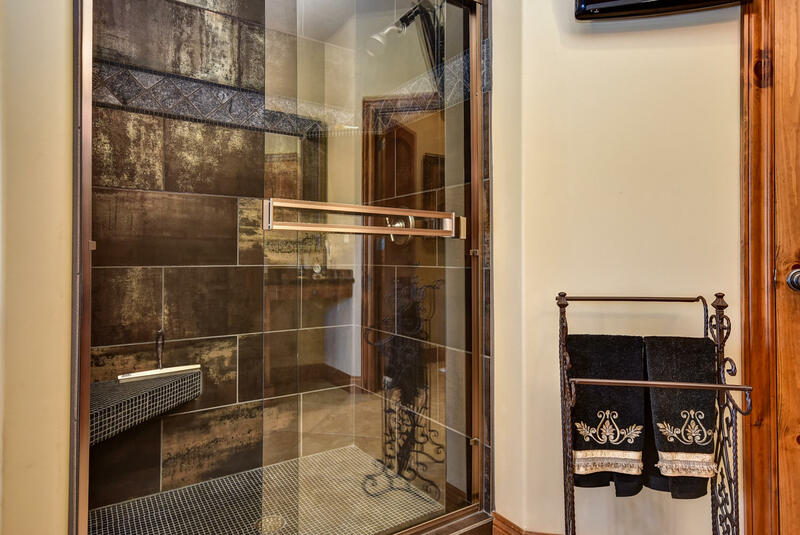 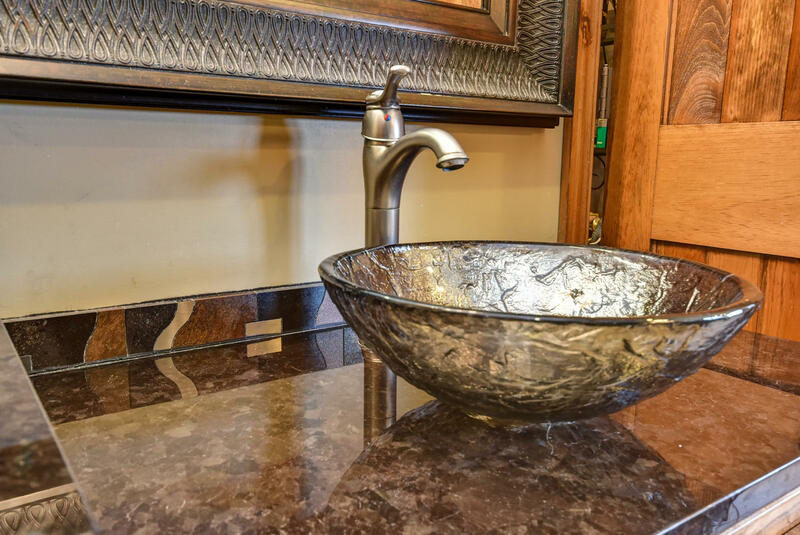 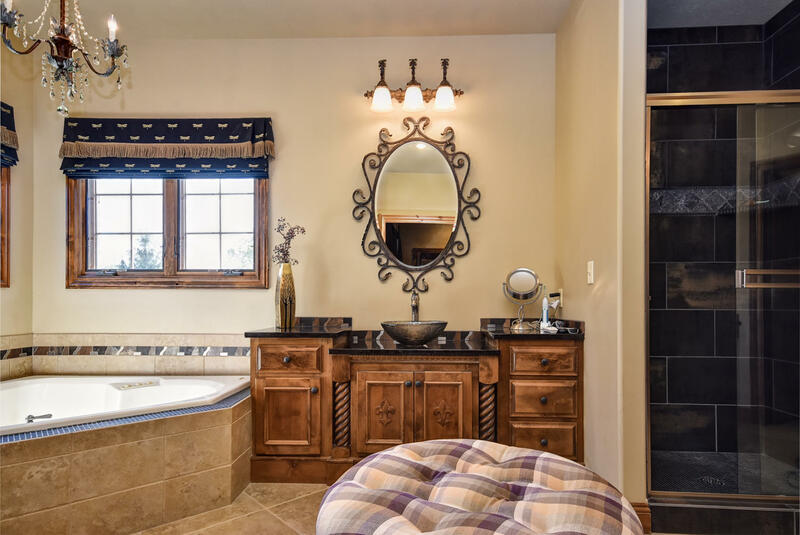 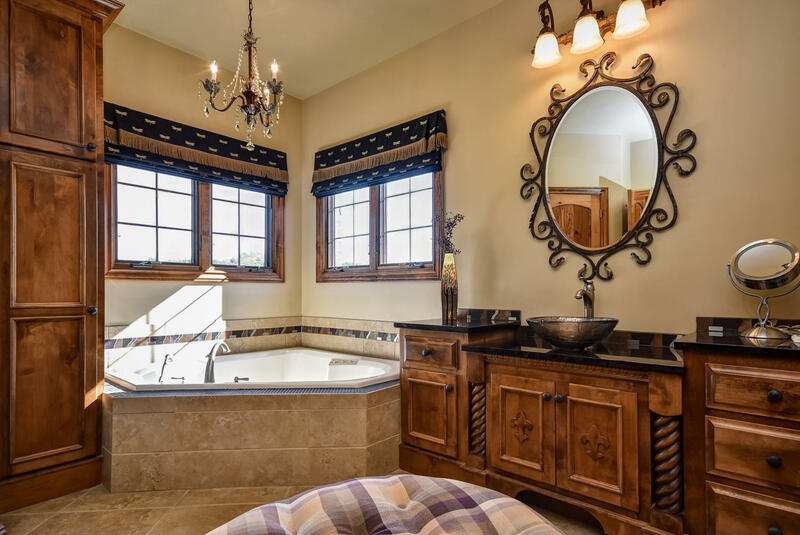 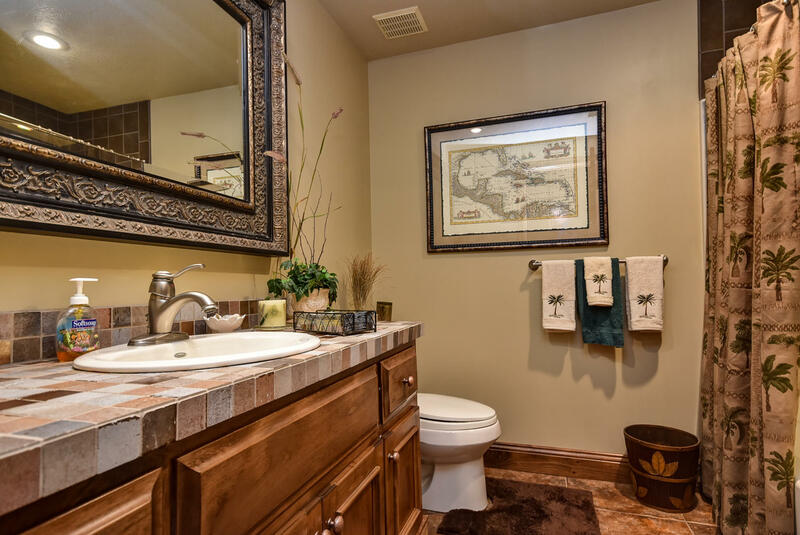 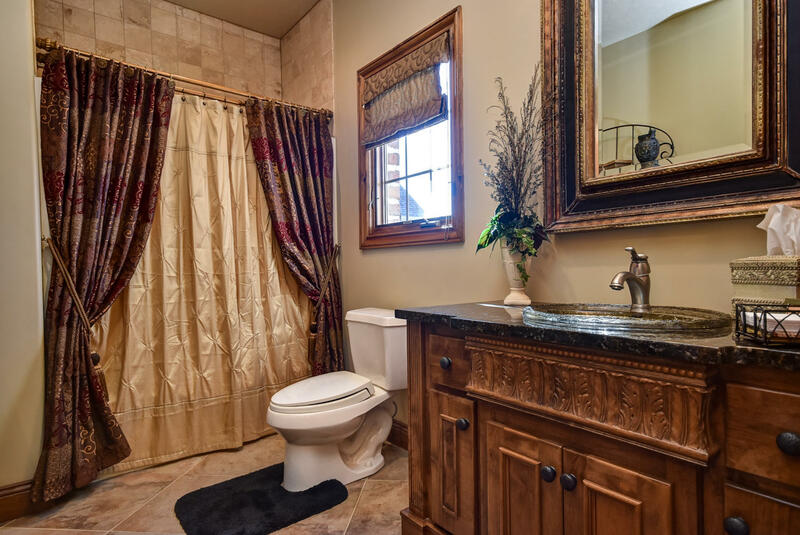 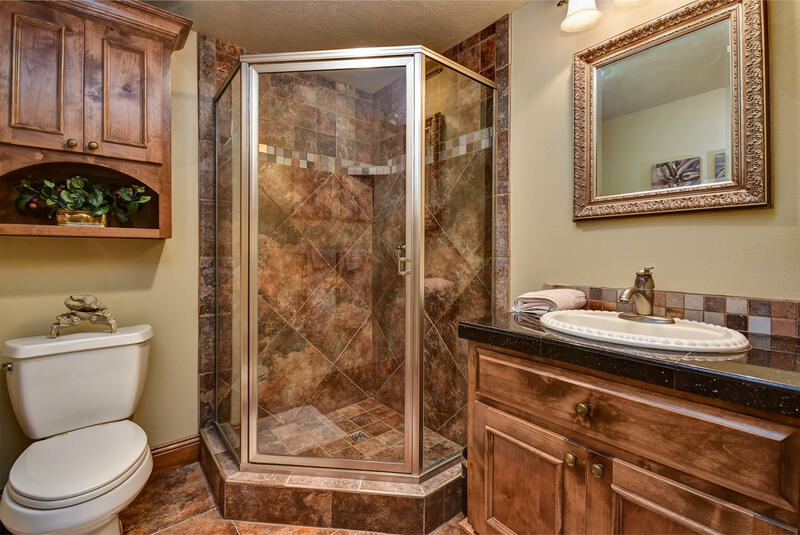 The master bath has 2 vanities with granite tops and vessel sinks, jetted tub and large walk in shower. 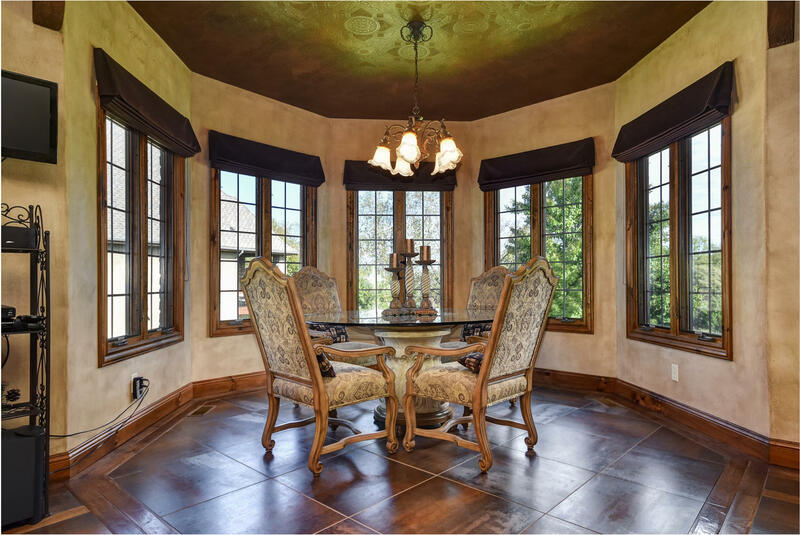 The formal dining features a tall window and beams. 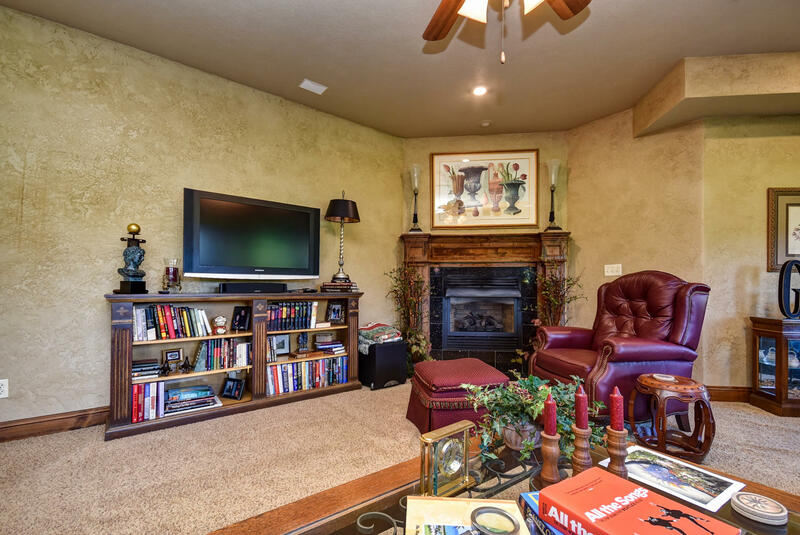 In the basement is a large open family room with corner gas log fireplace and tons of windows overlooking the back yard. 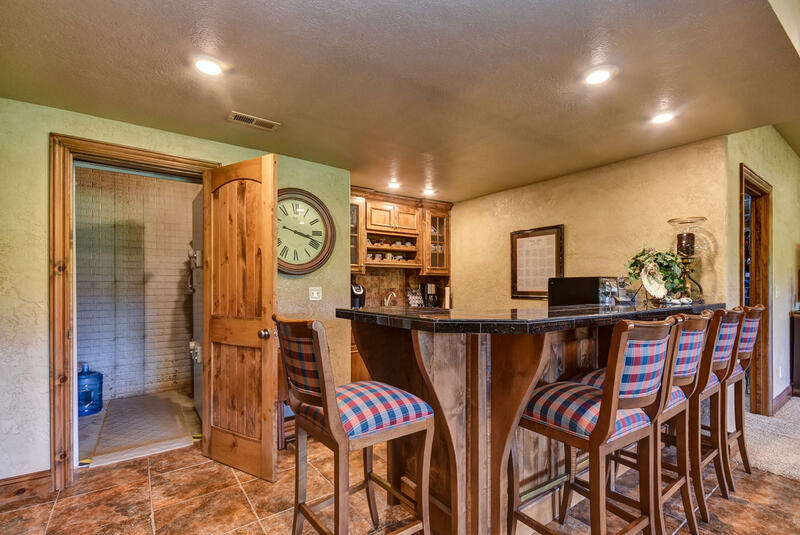 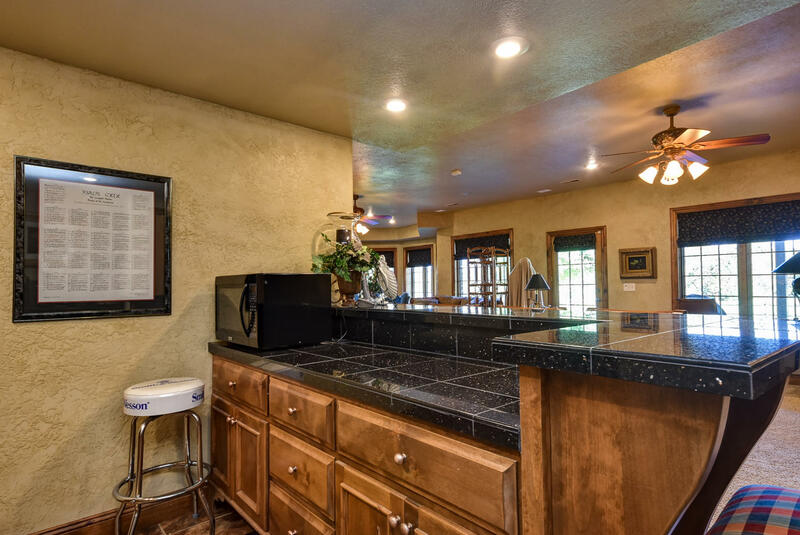 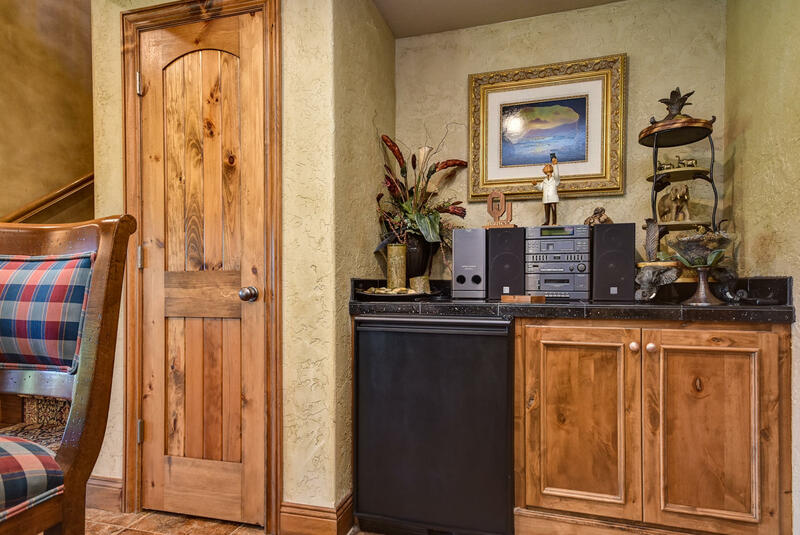 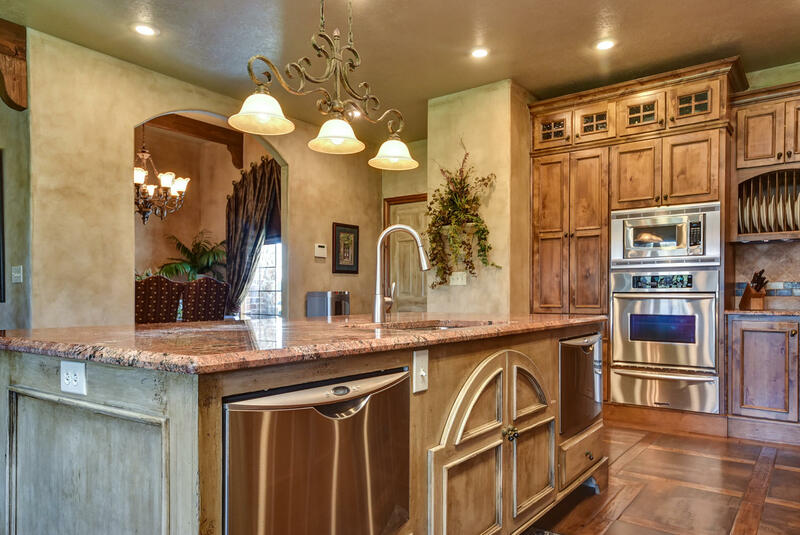 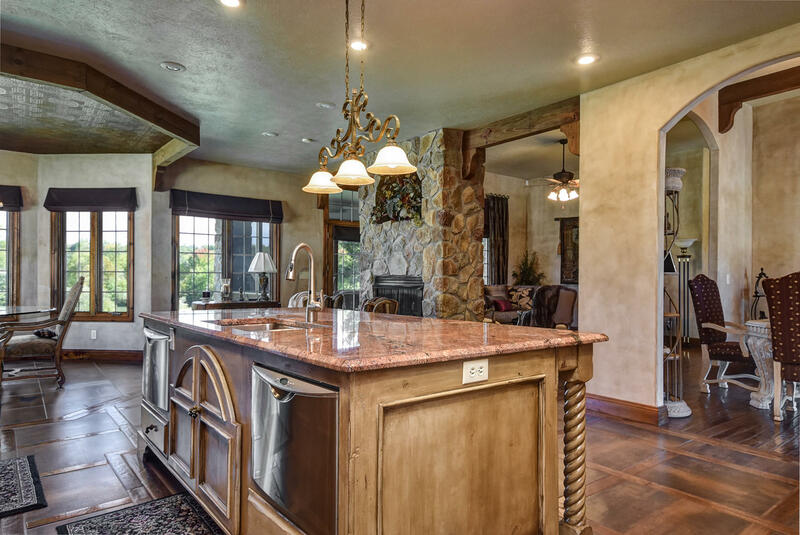 A wet bar with granite counter tops and refrigerator. 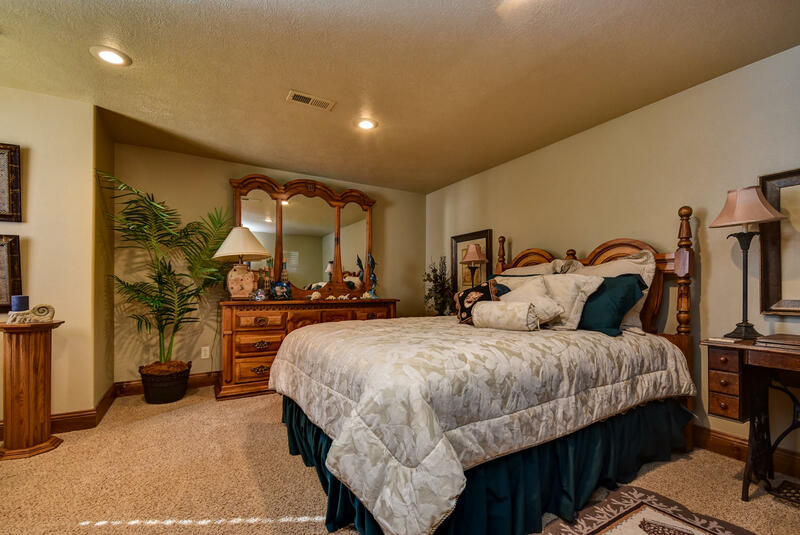 The 3rd bedroom currently has custom built in cabinets and desk that could easily be removed for a bed. 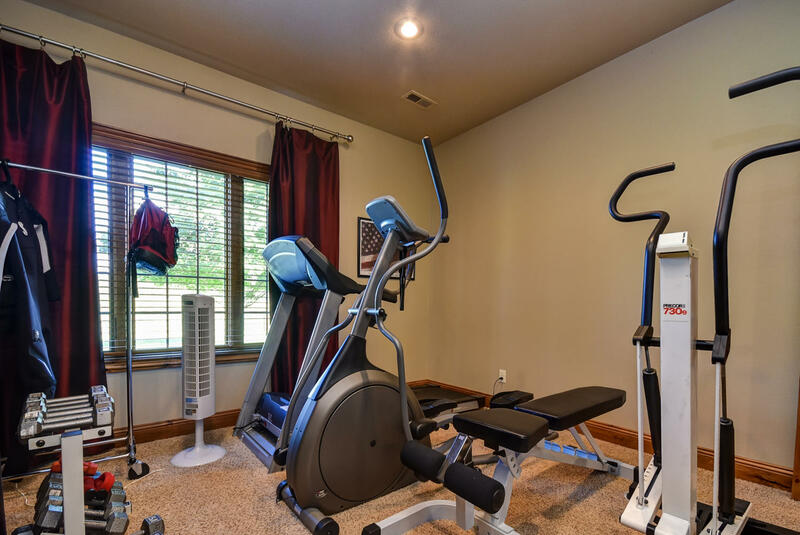 The 4th bedroom currently is used for an exercise room. 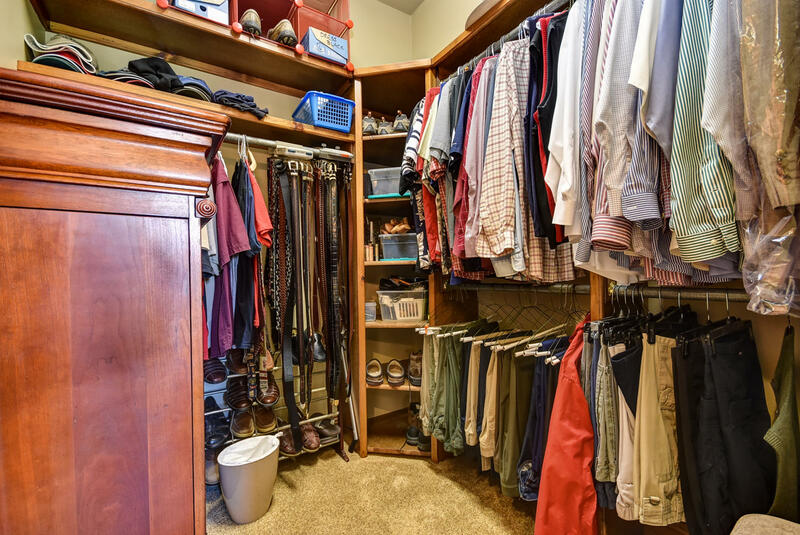 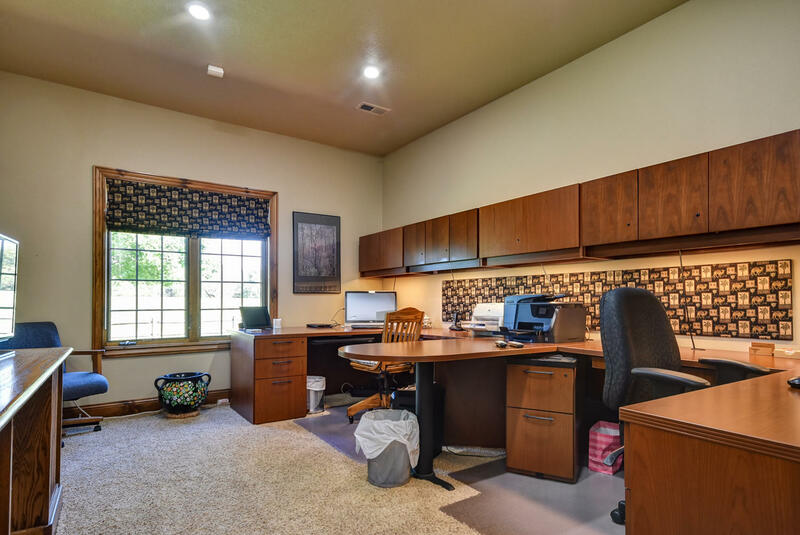 The 5th bedroom (or home office) has a private bath but no closet, however there is a space that could easily be made into a closet. 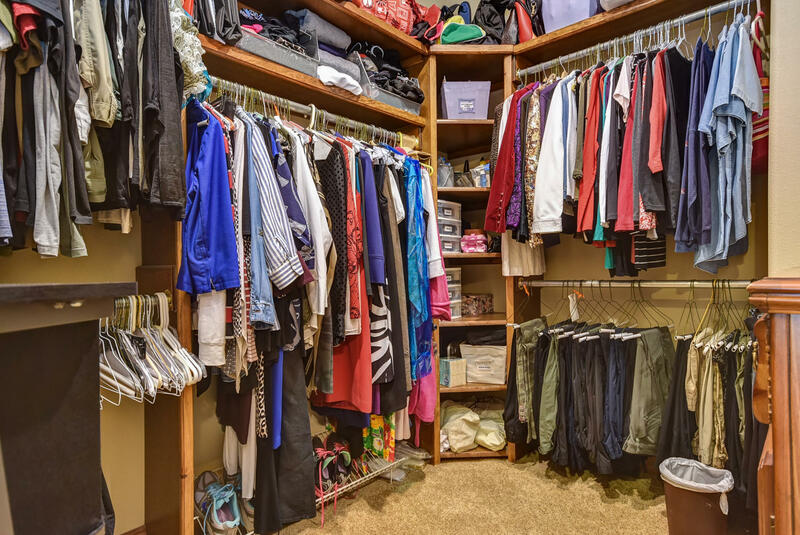 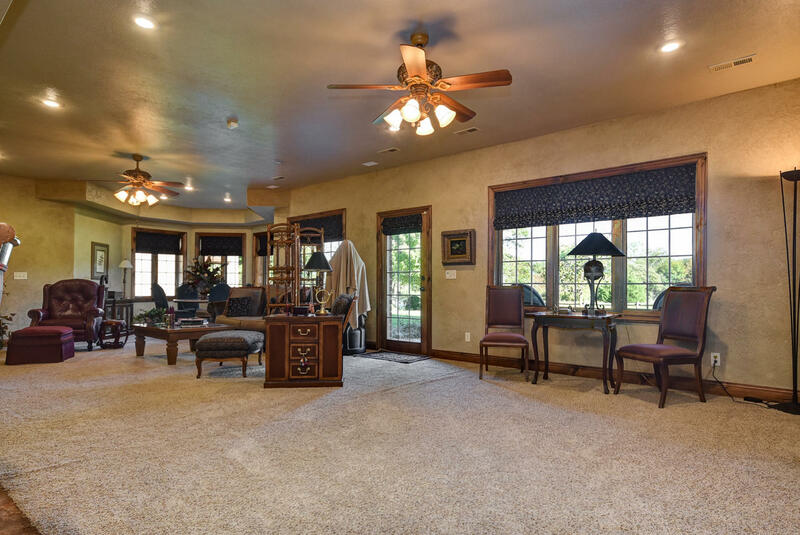 The large basement storage room is great for hobbies or extra storage. 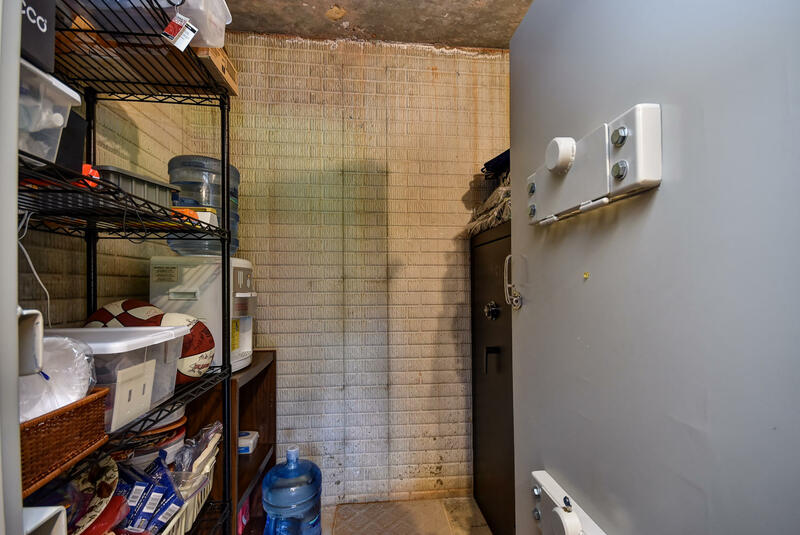 The storm shelter has a tornado proof door for added security. 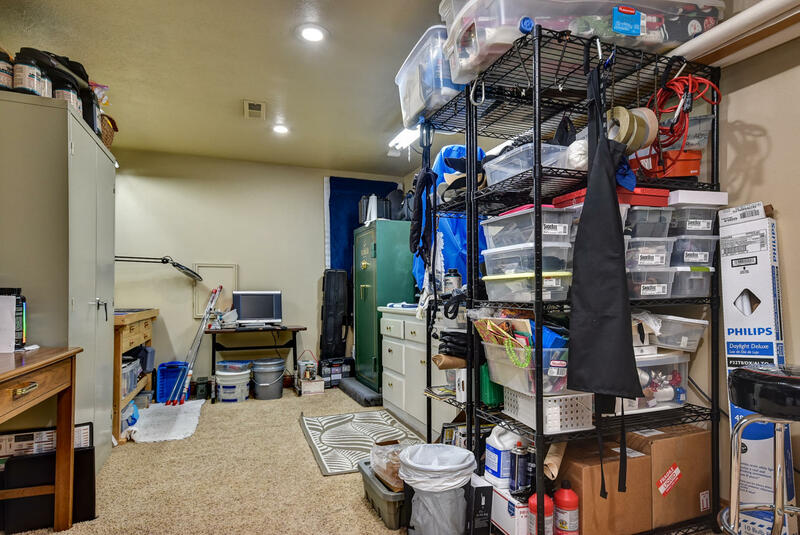 The oversize 3 car garage has plenty of space for a work shop area and extra storage. 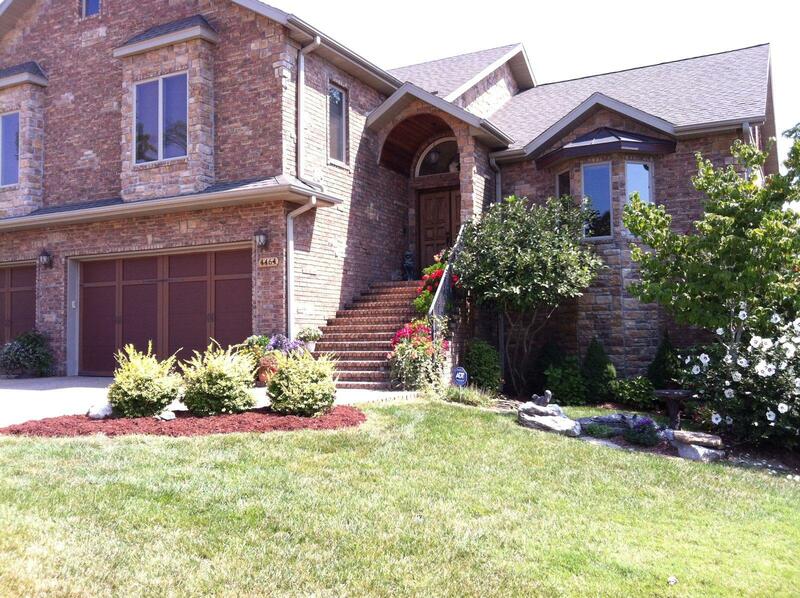 A whole house Generac built in generator and water softener.